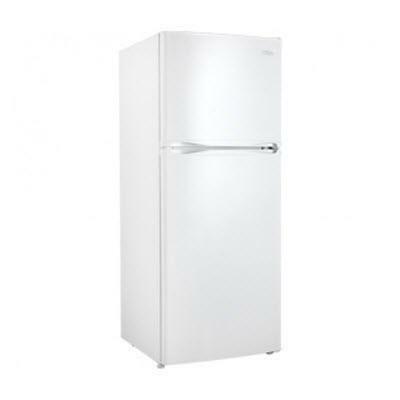 Danby top-freezer refrigerator provides a generous 10 cubic feet (281 litres) capacity of refrigeration space as well as a classy design that can fit in with any existing décor. Featuring a convenient frost free-operation system, a pair of removable and adjustable wire shelves, bright white interior LED light makes it easy to see inside of the refrigerator compartment. Total 10.00 cu. ft. / 0.28 cu. m.